SILVER GATE, MT — When you decide to open a shop in a tourist town, is there a better name than “Stop the Car”? At a time when the East Coast is socked in with unseasonably high levels of snow, the western side of Yellowstone National Park is lacking the white stuff — leading to some changes in Yellowstone winter policies. Senator John Barrasso, a Republican from Wyoming, is urging Yellowstone National Park officials to allow more snowmobiles in the Park during winter months and do away with requirements that snowmobilers be accompanied by a guide. Yellowstone National Park officials want to hear what you have to say about the draft Winter Use Plan currently under review -- so much that webinars have been scheduled to allow for remote access. No one seems particularly happy with the proposed Winter Use Plan put forward by Yellowstone National Park officials earlier this month -- and that may be good news for those who actually want to see it implemented. Call it the Yellowstone National Park equivalent of demand-based planning: a draft Winter Use Plan from the National Park Service has variable daily-use limits based on demand and overall usage numbers. Visitation to Yellowstone National Park was down slightly this past winter, as heavy snows and bad weather deterred visitors from driving or busing to the North Entrance for day trips. 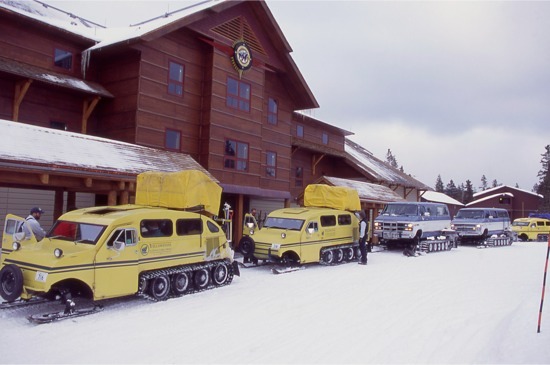 Snowmobile-advocacy groups, concessionaires and regional outfitters have already won the battle over the next Winter Use Plan for Yellowstone National Park, as the National Park Service has distilled the many public comments into six proposed usage scenarios that would not really change much at all and continue the current ban on cars in the Park during winter months. The National Park Service has announced plans for a new long-term management plan for the Old Faithful area. Given budget restrictions and other limitations on what can be done, there's only one realistic change that could increase access without impacting the natural resources in the area: Open access to the Old Faithful area year-round.